Your bedroom might just be the most important room in your whole house. And if it is not, it is the place where you spend the most of your time sleeping. Hence, it is essential that you make it a cozy and serene place to rest and relax. To attain that feat, you will need to furnish it with things. Well, not the luxurious ones, just the basics that make every bedroom an ultimate man’s cave. As they say, less is more. You have to put much thought on the things that you purchase rather than buying just to buy. It is because a man’s bedroom should make a statement in filling it up with fewer items. For you to know what are the things every man should have in his bedroom, read this article. Talking about bedroom essentials, you must not forget the most important thing you sleep on in your bedroom: your mattress. There are different types of mattresses in the market today, such as innerspring, foam, latex, waterbeds, and airbeds, for various kinds of sleepers. Thus, you need to have an extensive research before shopping because buying a mattress is an important and expensive purchase. You Need: Purple Mattress vs Tempurpedic. Which should you choose? It is essential to figure out beforehand the size of the mattress you need. If you find the right one in the store, make sure that it has 30 days or more warranty, and if yes, then you can take advantage of it. Also, you can try the mattresses sold in different stores by lying down on it like you would at home. For you to get that much-needed rest at night, you need to buy silky, natural fiber sheets with a soothing color. 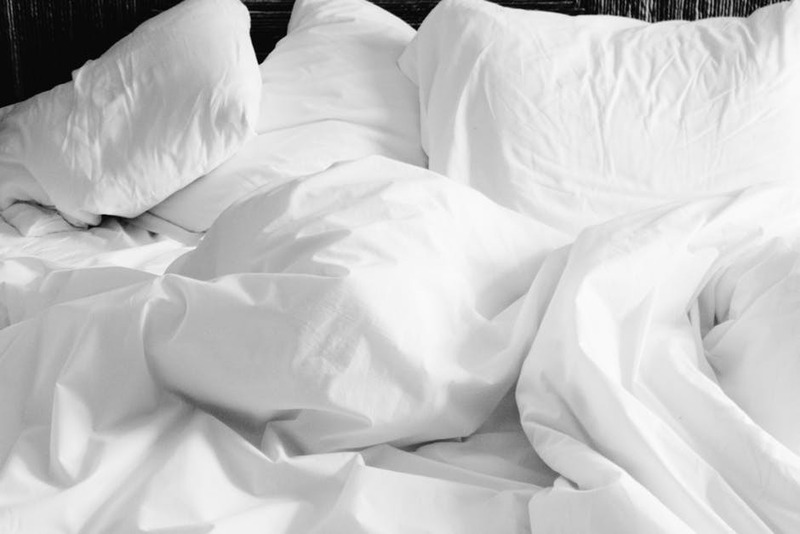 For the mattress cover, you need a sunshine silk duvet. Of course, comfy pillows, and more of it. You must also keep in mind that all these bed essentials should be hypoallergenic to prevent allergy attacks in the middle of the night. Well, a bedside light is not a luxury, gents. It is a necessity. 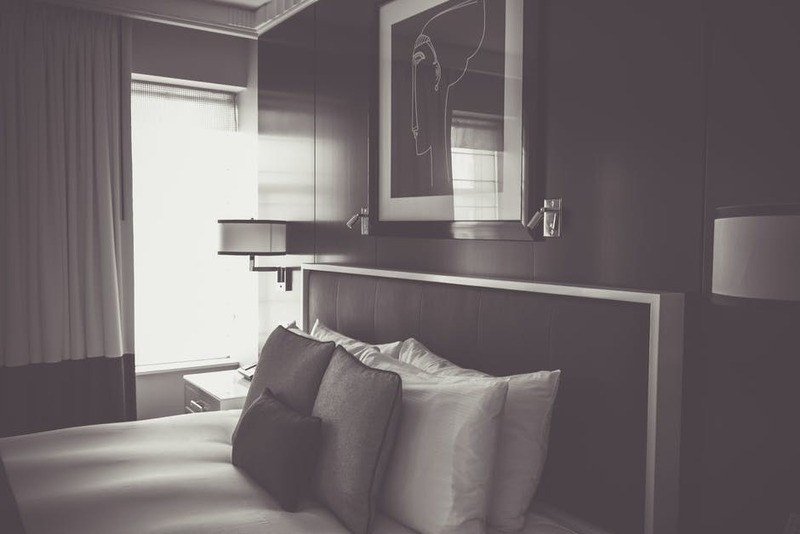 If you are one who always bumps his skin into every solid surface after he turns off the overhead light, then probably the illumination of a bedside table lamp is missing in your bedroom. You should choose a table lamp that puts on a dreamy ambiance for your bedroom to make you in comfort when you are sleeping. 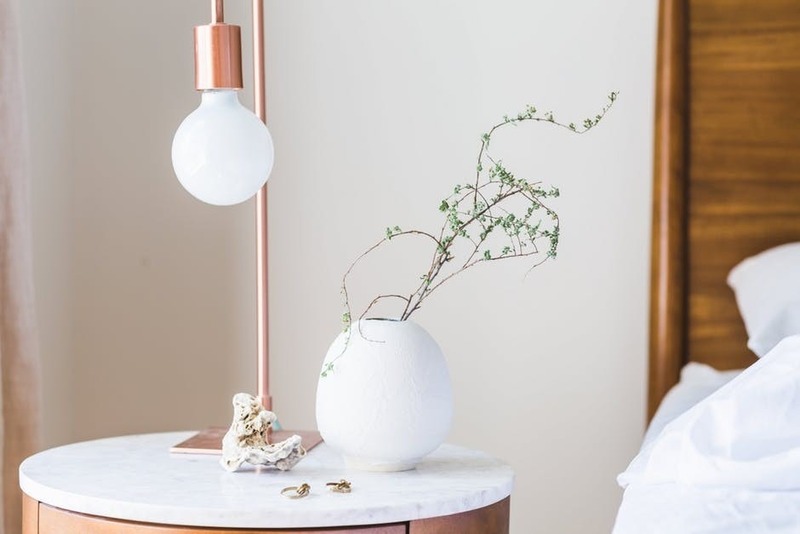 Put up a bedside table lamp, and say goodbye to the days of total darkness and pain! As your bed is important in your bedroom, so is your bedside table. So make sure that you put one beside your bed because there is nothing worse than a room without a bedside table. Bedside tables serve two functions. First, to provide a surface to put on your essential items such as your table lamp, book, mug, or whatever else you may want within your reach. Second, it provides anchorage for your bed, so it does not appear like floating in your bedroom. Perhaps you know already that electronic gadgets, such as your smartphones, tablet, and computers prevent you from having a quality sleep at night. Hence, you must hide them every time you go to sleep and, please, stop using your phone as your alarm clock. Avoid this by investing in a simple yet elegant alarm clock for all your bedside needs. You deserve not to go to bed with your smartphone at night. A full-length mirror is undoubtedly a bedroom essential because it is the item in which you look at yourself if you have to man up enough before you go outside. Without it, you might not know if your pants and shirt do not match at all, or, if your hair is in disarray. Not knowing what you look like in your outfit-of-the-day is a big no-no if you care enough about how you look. But you can avoid embarrassment if you have a full-length mirror in your bedroom. A candle is an important accent piece on your dresser or your bedside table. It not only illuminates a romantic and sensual allure when you bring your girl to your bedroom on special occasions, but a candle also gives off a lovely fragrance around your room without you standing to spray perfume for five minutes. Books are not only best in expanding our minds because they are also an excellent catharsis to purge the day’s stress and emotions. For example, when you read a novel, it is likely that you will carry the novel’s narrative into your dreams. So, before you go to sleep, read a book. Remember this: no gentleman should have empty walls. Hence, it is essential that somewhere in between your walls you hang a lovely artwork. It can be a painting or printed photos. For sure, it will give your room a little bit of artistic vibe. Every man must furnish their bedroom with style and personality. Aside from that, you should also consider displaying bedroom essentials which every man should have. A man will need a full-length mirror, a comfortable mattress, an alarm clock, among other things, to make the most of his man cave.